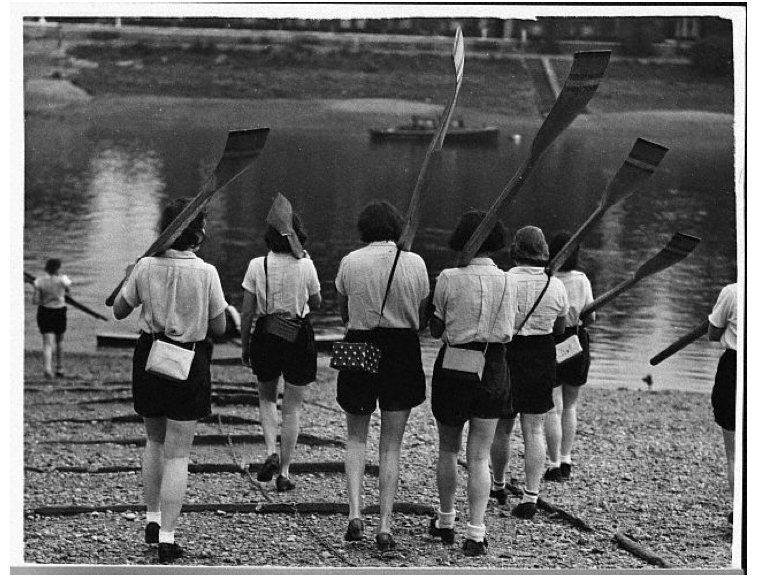 Women rowing crew carrying their oars down to the river with gas masks in boxes slung over their shoulders in London, 1939. There's so much about World War II that we later generations probably take for granted or never fully wrap our heads around. Can you imagine playing sports with gas masks slung around your shoulder? That's just insane. I miss rowing. Interesting too that they are all different, do you think they were decorated, like book jackets? So freaky. And they still manage to have classy gas mask boxes.